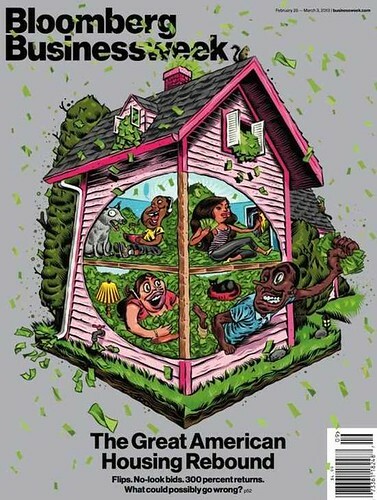 Is this week's Bloomberg Businessweek cover illustration "racist"? This is the Bloomberg Businessweek cover for this week. What were they thinking?!? "Our cover illustration last week got strong reactions, which we regret," Josh Tyrangiel, the magazine's editor, wrote in a statement sent to POLITICO. "Our intention was not to incite or offend. If we had to do it over again we'd do it differently." "The idea is that we can know things are really getting out of hand since even nonwhite people can get loans these days! They ought to be ashamed," writes Slate blogger Matt Yglesias, who described the illustration as "racist."